This evening at Mount Vernon, Virginia, George Washington's famous residence where he once hosted Frenchmen at dinner, Donald Trump will curtsy to tradition by hosting the current President of France, Emmanuel Macron. Now I have no exact hour for when dinner will be served but a horoscope set for 9:00 pm edt seems about right--at least the hour will arrive during the soup course or later. Being a bit rushed today I haven't time to type much concerning this dinner or Trump's first State Dinner tomorrow night at the White House (no Democrats allowed! Mr. Trump fears criticism) but there is one interesting Mercurial midpoint picture now in force which relates to meetings, talks, discussion, messages, and negotiations--tr Mercury @7Ari46 is apex planet of the transiting Uranus-Neptune midpoint. 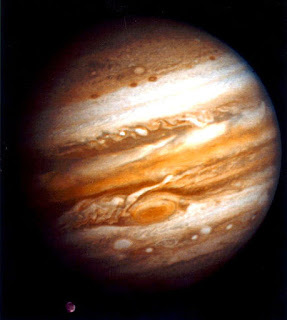 If you follow such topics as The Enlightenment or the Age of Reason, and the 'new world order' currently in process of being set up, you may recall a certain horoscope previously published here as a foundation chart for the modern 'new world order' set for the last of three exact conjunctions of Uranus and Neptune which perfected all through year 1993. 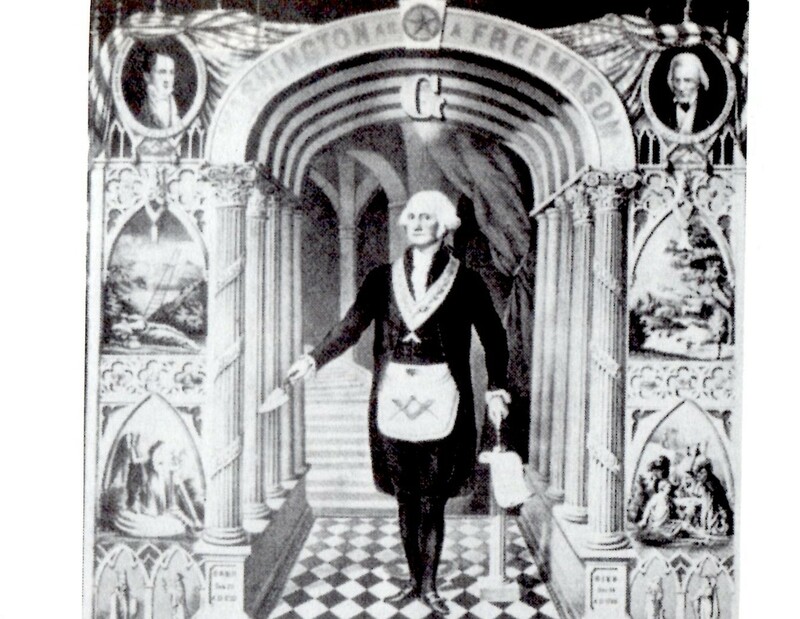 You may also note that under Trump tr Pluto recently reached the conjunction's degree (18 Capricorn = POLITICAL POWER and strong-armed paternalism) and activated the potential of 'the big picture must be followed, very little option to do otherwise' (Tyl). This is the sort of imperative under which current politicians and their wealthy backers operate, the yoke they wear that keeps US politicians from 'doing the people's business' as We The People pay them to do. It's 'The Great Chess Game' of global take-over, devilishly inspired. 1993 Uranus-Neptune = tr Mercury: artificial intelligence processes, ideas, and thoughts; sudden inspiration for development of plans; insight into new information or engineering techniques; plans without the possibility of realization; metaphysical or supernatural interests; peculiar notions; investigating the unconscious; long-distance travel (Macron); high curiosity; the mind plays tricks (Trump); needing a reorientation to common sense ('new world order' stooges). 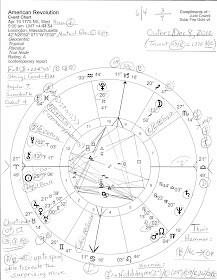 Now Emmanuel Macron was born with a Sun Sag-Moon Taurus personality blend so let's note the blend's Images for Integration (Sun = conscious, Moon = unconscious) as given by the Harveys in their Sun Sign-Moon Sign book: "A pirate ship searches for gold...An armchair traveler roughs out a financial plan for his next adventure." Tres amusing non? Plus, if you view the natal horoscope of Emmanuel Macron (December 21, 1977 10:40 am MET Amiens, France; RR: AA) you'll see that Macron's Venus @21Sag47 conjoins the natal South-Node-Moon conjunction of Donald Trump. 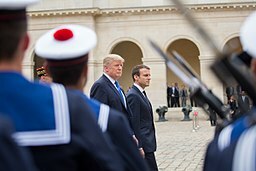 This connection may indicate a pleasant contact between the two men but the presence of Trump's South Node, a Saturnian indicator, suggests separation at some point--or it possibly reveals a family link between them and/or points toward the 'intimate' dinner the Trumps and Macrons enjoyed at the Eiffel Tower last year!